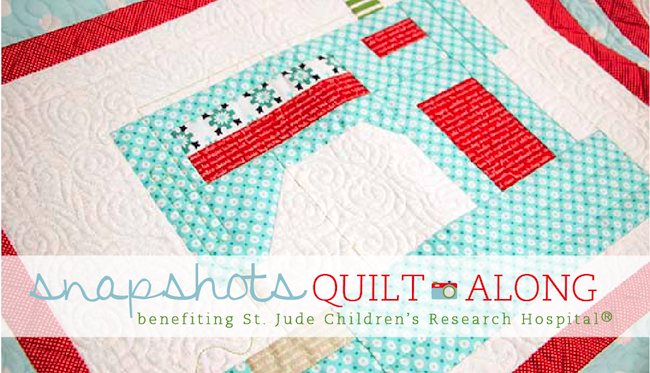 Welcome to month two of the Fat Quarter Shop, Snapshots quilt-a-long! The QAL is benefiting St Jude's Childrens Hospital, so FQS are asking quilter's for a small donation for each monthly block. This month it's this super fun sewing machine block! So fun! You can find this new block available here. The finished block measure up at 12" x 16" so it's a great size to use as a decorative mini quilt for your sewing room! (which I'm quite tempted to do!) I based the purple and grey colour's on my own Janome machine :-) I actually used a patterned white fabric for the main section of the machine initially, but it didn't stand out very well with the Kona Snow backing so I un-picked it all and started again with the checked blue fabric. Much better! "If at first we don't succeed, try, try again". 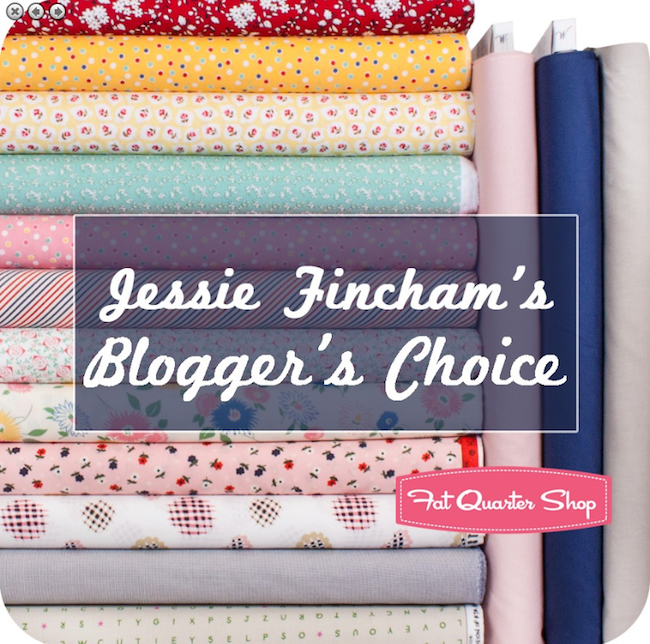 Also, talking of the Fat Quarter Shop - guess what … I have my very own Blogger's Choice Fat Quarter Bundle!! I'm so honoured! It's brand new for the month of February and it's available now. Of course I might be a little bit biased, but its a brilliant collection! What do you think? There's one (possibly two ;-) look out for a giveaway soon!) currently winging it's way across the atlantic and I'm so excited to receive it! You can purchase your own bundle here. Enjoy! Your block is so darling! 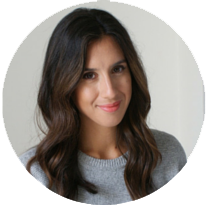 And the blogger's choice selections really capture your style. Great job on both!! The sewing machine square is just darling: thanks for the link. The cake is lovely too! Love your seing machinese! And your bundle looks just yummy! Sweet blocks. I love your gingham sewing machine! Love your bundle! Congratulations, must be so exciting for you.